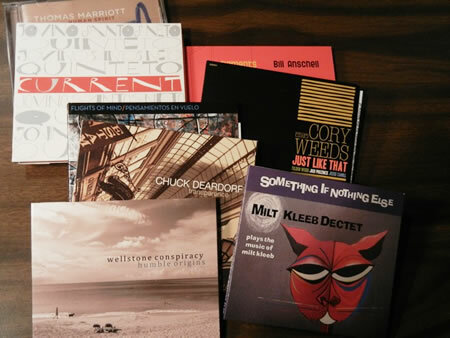 Starting with a trickle of albums years ago, there’s now a constant stream of excellent CDs by NW Jazz artists each year. 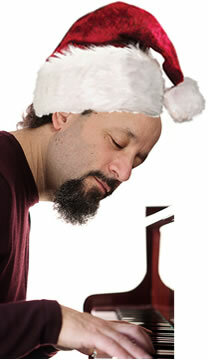 We’ll feature some of the best from 2011 on Jazz Northwest this Sunday at 1:00 PM on 88.5 KPLU. For Pacific Northwest jazz fans in particular, here are some of the exceptional releases from artists living in Seattle, Portland, and Vancouver. Human Spirit will be joined by former Seattle pianist, and now-LA resident, Gary Fukushima and bassist Mark Hunter for their performance this Friday at Egan’s Ballard Jam house. The band will perform one set starting at 9:00pm. Tickets are $10. The commercial auctioneers at James G. Murphy Co. will be auctioning off Thaiku and Fu Kun Wu’s interior, creating a unique opportunity for people to take home a piece of the beloved Thai restaurant and bar. The auction will be held on Thursday, December 29 at 10:00am, with a preview from 8-10am, at Thaiku’s current location at 5410 Ballard Avenue NW. On the auction block is a huge assortment of antique Asian decor, as well as kitchen appliances, dining tables and chairs, bar stools and other furnishings. A preview of the items can be found here: http://murphyauction.com/Auction/Details/339. I’m happy to announce that this Friday, my trio will celebrate the close of yet another joyous holiday season by NOT PLAYING the Charlie Brown Christmas Song! How many times do you think you heard it this year? How many times do you think I played it? Well, I can tell you: 17 1/2. The half happened when I reached the middle last Friday at exactly 12:10 pm, which happens to be break time on my solo gig. I jumped off the bench, grabbed my coffee, and left a few toddlers crying. What a shame, because I was, frankly, playing the snot out of it, transcending both the song itself and my own blunt musicianship. Which is why I can’t wait to play it 17.5 times again next year, starting right where I left off on the day after Thanksgiving. I’ll be sure to invite you. But more to the point, it’s not just the Charlie Brown Christmas Song we won’t be playing on Friday night, but every one of your holiday favorites! If you’ve got one you think I haven’t thought of, just let me know, and we won’t play it either. Instead, it will be my usual Grinchish mix of original compositions and derangements of jazz standards. So what makes this Friday night special? On the night before New Years Eve, live music venues are usually about as popular as Ross Dress For Less Holiday Fruitcake, which is to say maybe not so much. And what’s so great about that? I’ll tell you: You could wind up with a semi-private recital; you might even get the coveted seat inches from my left hand. Just be sure not to lean forward if I start to play some stride, because my insurance doesn’t cover personal injury. What else? 7:30 – 11:30, $15, reservations suggested but certainly not required; all relevant info at www.tulas.com. Sam Rivers, the multi-instrumentalist and bandleader who helped to define free jazz but whose compositions also embraced form and melody, died Dec. 26 in Orlando, Fla. He was 88. The cause of death, as reported by the Orlando Sentinel, was pneumonia. Born in Oklahoma in 1923, Rivers, like so many other future jazz musicians, was raised on the music of the church, and his father was a gospel singer with the Fisk Jubilee Singers. Rivers’ mother taught music, and Rivers learned to play violin and piano as a child. The family lived in Chicago and Little Rock, but in 1947, Rivers, who ultimately played tenor and soprano saxophones (his primary instruments), flute, bass clarinet, piano and harmonica, moved to Boston, where he studied at the Boston Conservatory of Music and Boston University. Early in his career, in the 1950s, Rivers played in trumpeter Herb Pomeroy’s band, alongside Quincy Jones and Jaki Byard. Rivers began to lead his own bands in the late ’50s, one of which included the teenaged drummer Tony Williams. Although he came up on bebop, Rivers took to jazz’s burgeoning avant-garde, aligning himself with the Jazz Composers’ Guild, along with such leading free-jazz figures as Cecil Taylor and Archie Shepp. Continue reading at Jazz Times. Mack Waldron, owner of Tula’s Jazz Club, will be celebrating his 70th birthday this Wednesday, December 28, with a night of music at his club. Music will be lead by vocalist Greta Matassa and Kelley Johnson, but you can plan on it evolving into a all-start jam session. There is no cover for working jazz musicians, $10 for everyone else, and there will be a buffet. See you at Tula’s this Wednesday! Tickets are still available for tonight’s show. Box office opens at 6:30 pm. Sara Gazarek, a keenly swinging, emotive vocalist who attended Seattle’s Roosevelt High School and now teaches jazz at the University of Southern California’s Thornton School of Music, is home for Christmas. The spirited singer recently signed a recording contract with the highly respected Palmetto label (Fred Hersch, Ben Allison, Kate McGarry) and just recorded a new album produced by keyboard man Larry Goldings. The disc is due next year, but you can hear Gazarek with Roosevelt homey Sean Hutchinson (drums), John Hansen (piano) and David Dawda (bass) at 7:30 p.m. Monday and Tuesday at Dimitriou’s Jazz Alley, 2033 Sixth Ave., Seattle; $20.50 (206-441-9729 or www.jazzalley.com). THAIKU: Jon Alberts, Jeff Johnson, Tad Britton – Last Show! ‘Tis the season for jazz clubs opening, closing and moving! And we have another move to report. Bake’s Place owners Craig and Laura Baker have announced that they are moving their location to Downtown Bellevue. We are proud to announce that Bake’s Place will be moving to downtown Bellevue in early spring 2012! After successfully presenting live music for 12 years, we are deeply aware of the vast wealth of musical talent in our region. Simply put; we want to present more of these artists. For some time now, we’ve been looking for an opportunity to broaden the scope of what we do. Finally, that opportunity has presented itself. At our new home, located in the Columbia West building on the corner of 108th Ave. NE & NE 2nd St., we will be doubling our seating capacity with a main stage, floor and mezzanine seating, a full-service bar, large floor to ceiling windows and a spacious patio for outdoor dining and special events. From this beautiful new space, we will offer dinner shows six nights a week and will feature a variety of musical genres including R & B, Latin, Big Band, singer-songwriter, jazz, blues and more. We will also be extending our hours to include additional sets. We will truly have something for everyone. In addition to significantly expanding our musical palette, we will be elevating both the quality and scope of our cuisine to match. To that end, we are thrilled to welcome our new executive chef and business partner, Christopher Peterson. His resume includes the illustrious Café Campagne, as well as a long time executive chef position at the Eastside’s premier fine dining establishment Bis On Main. Most recently, he served as the director of culinary operations for Milagro Cantina, where he created the food concept and assisted with the design of the restaurant. Milagro Cantina was named ‘Best New Eastside Restaurant’ by 425 Magazine. Chef Chris is putting together a menu that features an array of both small and large plates inspired by global cuisines. We believe that music is magic, and our vision has always been to create a true listening environment, where our guests can unwind from the busyness of the modern world and enjoy the space between the notes. Although our location is changing, our vision remains the same. As is our tradition, we will continue to offer world-class music, outstanding cuisine and friendly service in a uniquely intimate setting. We are deeply grateful for your friendship and patronage and are very excited to share the next leg of the adventure with you. Calling out around the world — are you ready for a brand new “Unsilent Night”? If so, you’ll have your chance in Seattle on Wednesday, the night of the winter solstice, when local experimental-music lovers can take part in a free “worldwide annual communal event” dreamed up by New York composer Phil Kline in 1992. Here’s how it works: First, go to www.unsilentnight.com to download the music of the evening (think: shimmery tintinnabulations). Once you have it on your boombox, MP3 player, iPhone or other sound-making device, go to the Chapel Performance Space at the Good Shepherd Center (4649 Sunnyside Ave. N., fourth floor, Seattle) at 6:30 p.m. The performance is followed at 8 p.m. with a “new-music-office-holiday-party,” hosted by the Seattle Composers’ Salon, geared to artists who don’t have an office holiday party of their own to attend.